Here’s a snippet of some random meals I’ve eaten lately. One of my staff was going to pick up some food for lunch so I asked him to get me whatever he was having. What I didn’t think of is that my staff is a 20-something year old male, who can eat a heck of a lot more than I can. What I got was WAY too much food! 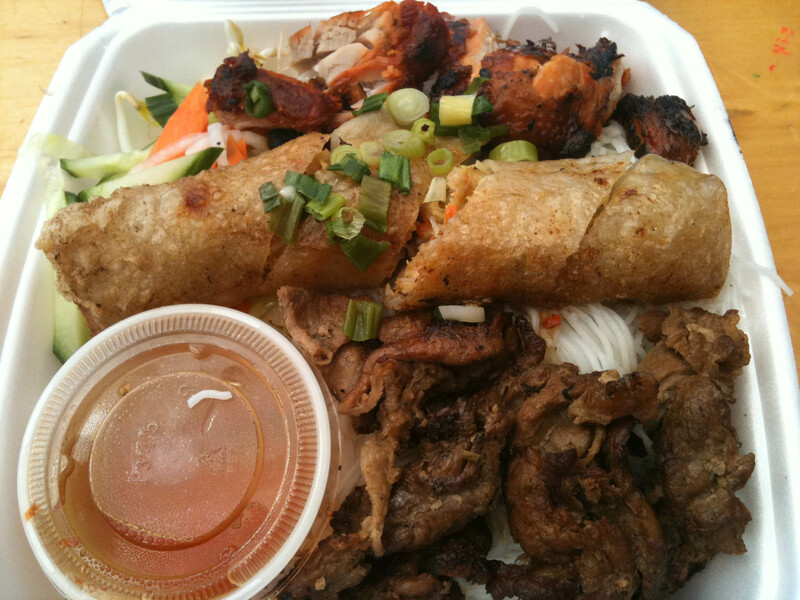 I ended up eating less than half of the meats and only a quarter of the spring roll. What I loved is the rice vermicelli mixed up with the fresh vegetables with the nuoc mam cham poured over the top, (the dipping sauce made with fish sauce, lime juice and sugar). A plethora of Bau Chau meats! I’m pretty excited that a Nuba has opened up on the corner of East 3rd and Main. I’m a big fan of Nuba, but their location on the corner of West Hastings and Cambie isn’t the most convenient to my every day life. But with a Nuba on my way home from work, it’s helped to develop another food fancy for me. It’s become my hot day alternative to pork and oyster congee as my “can’t decide what to eat” meal. Najib’s Special wrap is filled with deliciously fried cauliflower tossed in lemon. 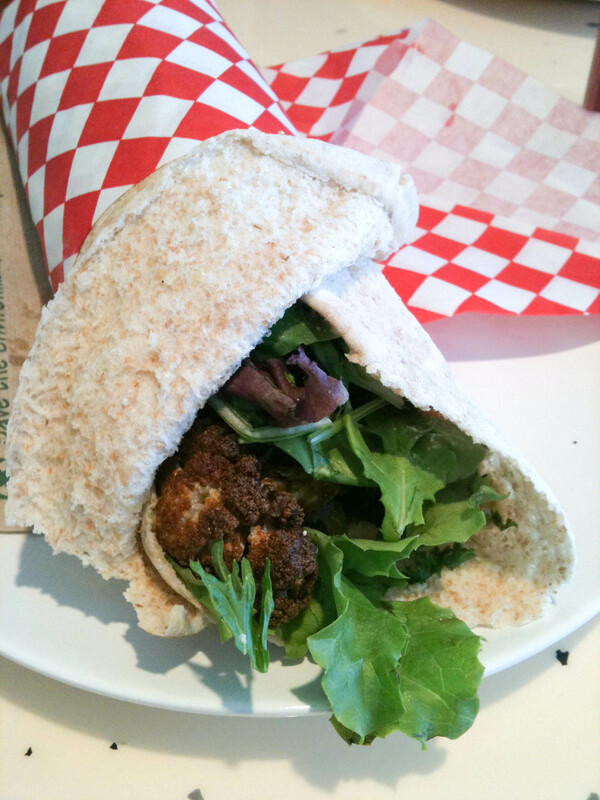 The pita is also stuffed with hummus, taboulleh, lettuce and pickled cabbage. I always get a laugh when they ask, “if you’d like hot sauce on it”. I’ve now gotten in the habit of asking for extra, but even still, there’s NO sign of spiciness to this wrap. Don’t roll your eyes, or dismiss this because it’s cauliflower. Trust me on this, it’s delicious! My nieces came over for a sleepover on Friday night. 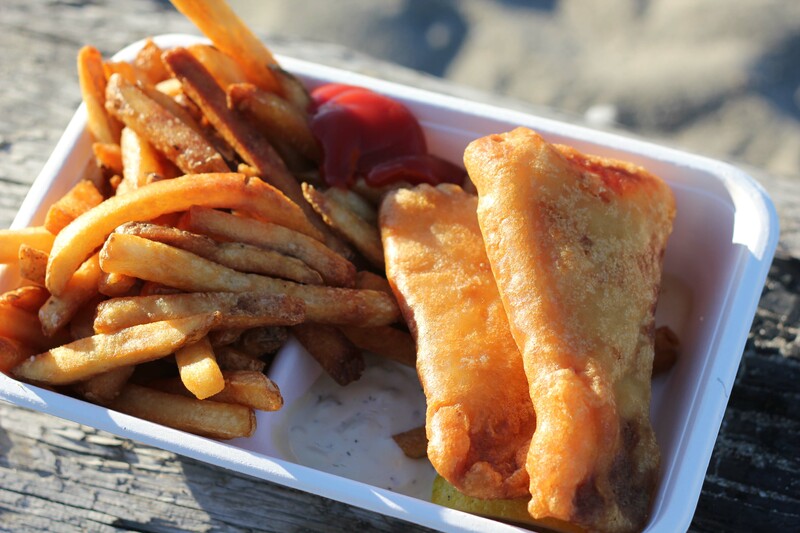 We’ve been wanting an excuse to have fish and chips down by the beach, so this seemed like the perfect opportunity. It was a beautiful night, and eating on the beach is one of the best things to do on a sunny night in Vancouver. The setting was almost enough to overlook how truly bad the fish and the fries actually were. I know I shouldn’t have expected a lot from concession fish and chips, but if memory serves me correctly, these used to be a lot better. My last bite came via a special delivery from Montreal. Treats of hand delivered meats are always the best and treats of hand delivered Schwartz’s meats can’t be beat! I know it’s not as good as “the real thing”, but hey it’s Vancouver, and we don’t have the real thing. 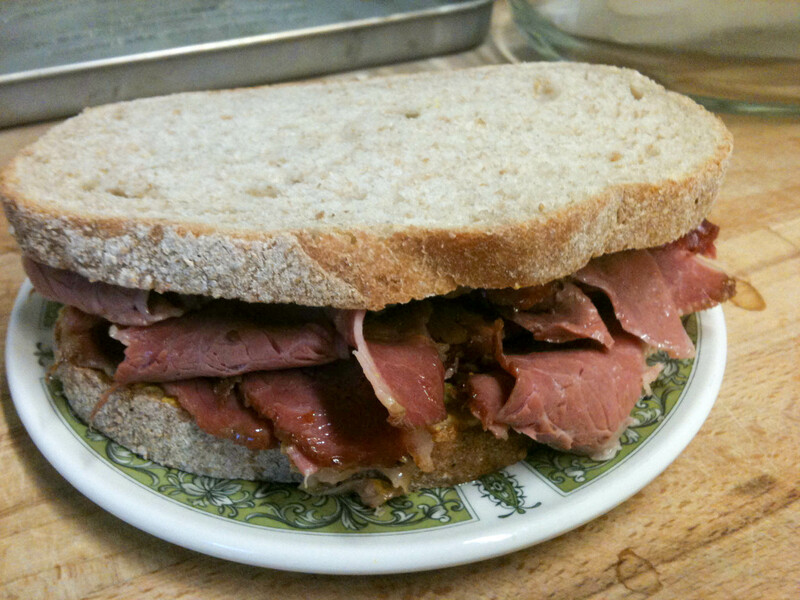 Flown in meats is the best you can do in Vancouver. But hey, we do have the ocean!